FishWisher's Home Page | Fishing, RVing, and the good life after retirement! The Last Legal Hundred Pound Monster! RVing is my favorite pastime these days, even though I actually spend most of my time in the recliner at home. I love seeing the country through that huge, panoramic Class A windshield – and plan to see a lot more in the coming years. My family and friends are still shaking their heads at my sale of yet another boat and pickup. I surely have been through a bunch of boats and trucks in the past few years, but THIS time I can say with certainty that I’ve sold the last boat – and it was way back in October, 2013 that I sold it! It was during the couple of years prior to selling it that I found the work involved in boating and fishing just wasn’t much fun anymore, to say nothing of the endless fishing regulations with which Kalifornistan has strangled much of the fun out of the sport. So I sold the boat and the truck and really, that was the last time! My place is in the recliner, too! Hi Darren – Yes, I’m still having a good time but I miss the boat if only to admire her just sitting on the trailer. But with the new regs for sturgeon, etc. I can’t say I miss the fishing all that much. The do-gooders have pretty much ruined it. Good luck to you out there and thanks for the visit. Hey Dale. We’d like to seed you back on rec.boats again. afew of us really enjoyed your travels and stories..
Tschnautz at gmail dot com. Dale! RV adventures and discussion are welcome at rec.boats also! We’re an open minded crowd over there, if we can keep folks off politics and religion! I’ll miss the fish stories Dale, but enjoy lifes next adventure. Rving is another great relaxing hobby. PS: Love that car! Thanks for the visit, Fred. I miss living the stories, too. But I don’t miss the wind, the work, the heat, the cold… and I find none of that here in my recliner! But it does get a bit boring. I’ve done quite a bit of RVing lately and more planned soon. I love driving and seeing the country. Wish I’d known of your site when I bought my last anchor. Stop in for another visit anytime. 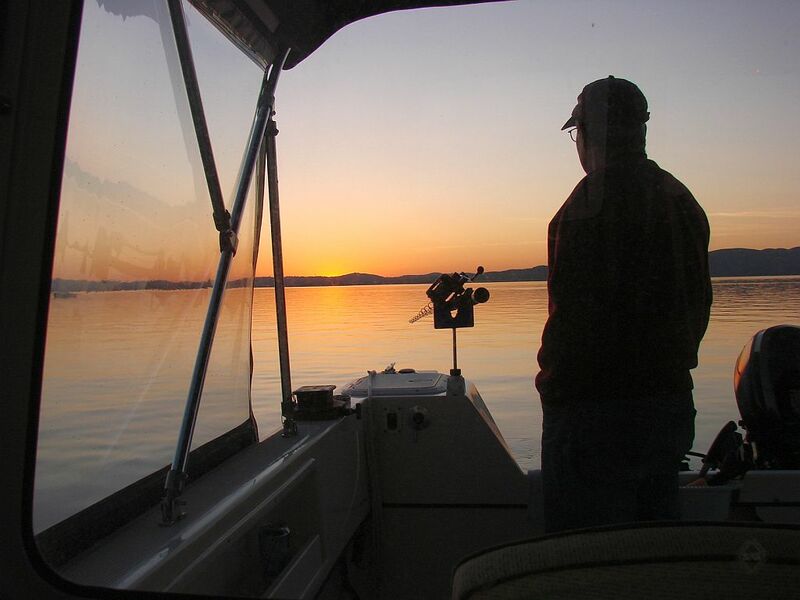 Hi Dale, I was out on the old Sac salmon fishing yesterday when old SeaRay Bill started calling you on the VHF radio. I told him the only boat you have now is you land yacht. We all miss seeing Fishwisher on the water. But I follow your adventures on this site and enjoy them very much.